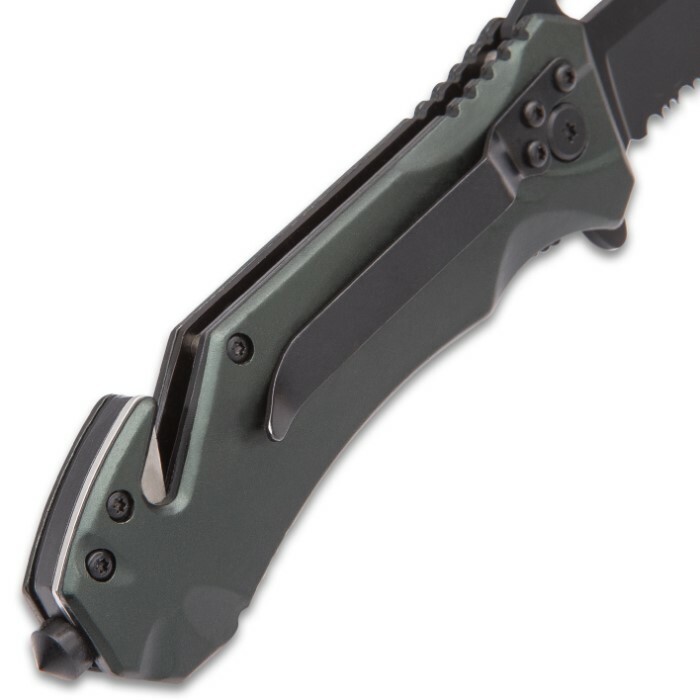 Police Officer Protect And Serve Assisted Opening Pocket Knife - Stainless Steel Blade, Partially Serrated, Aluminum Handle, Pocket Clip | BUDK.com - Knives & Swords At The Lowest Prices! 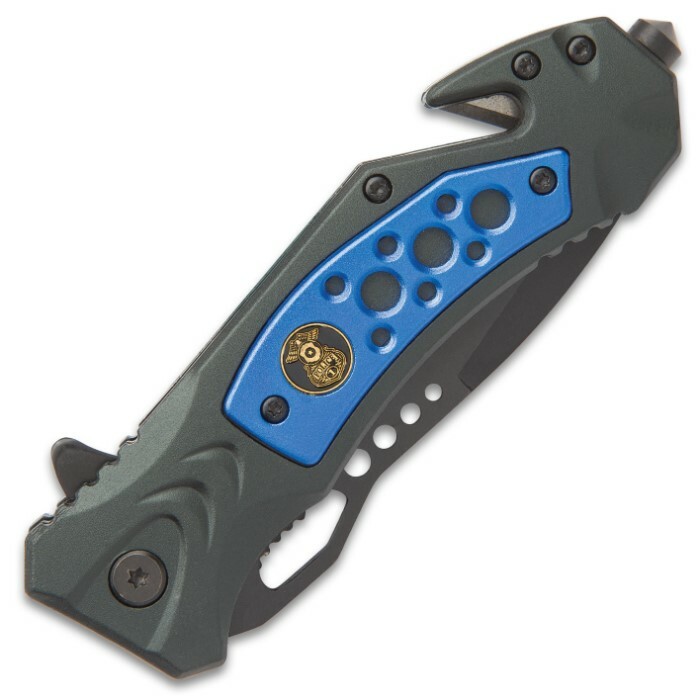 “Protect and Serve” is a powerful motto associated with police officers and our Police Officer Assisted Opening Pocket Knife was designed and built to uphold it. It has a keenly sharp 3 3/4” partially serrated, stainless steel blade, which has a non-reflective black finish and thru-holes. 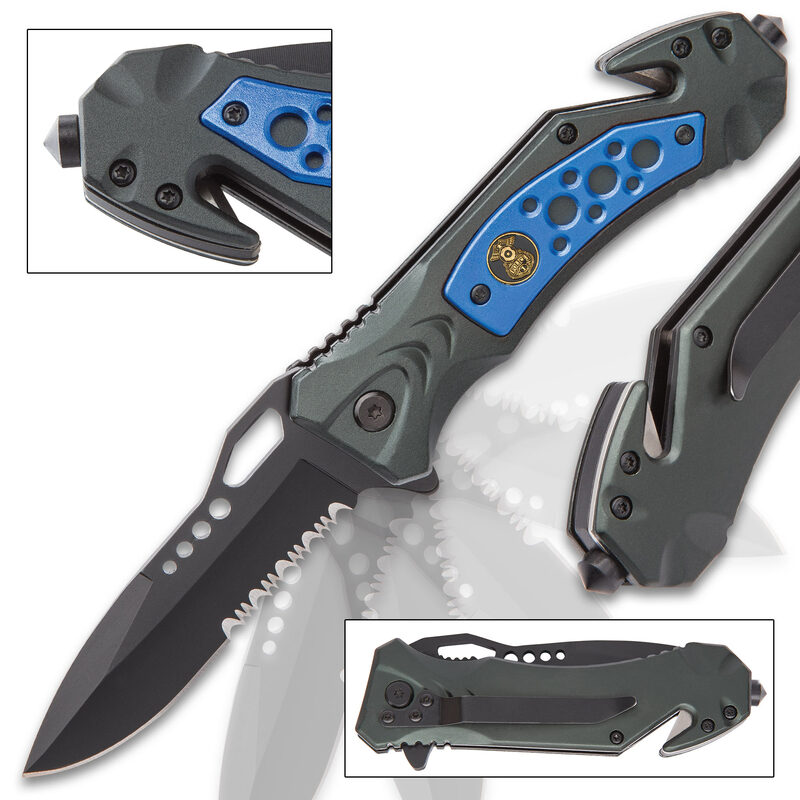 The drop point blade can be quickly and easily deployed with a smooth, assisted opening mechanism, using the flipper. 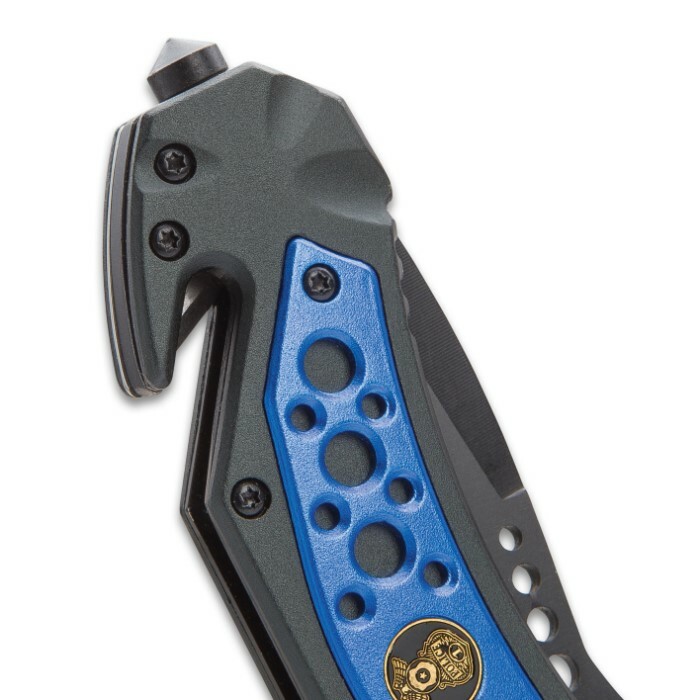 Paying tribute to these Hometown Heroes, the black aluminum handle features a blue aluminum accent, which bears the police officer’s shield, and the handle also features an integrated seatbelt cutter and glass breaker. 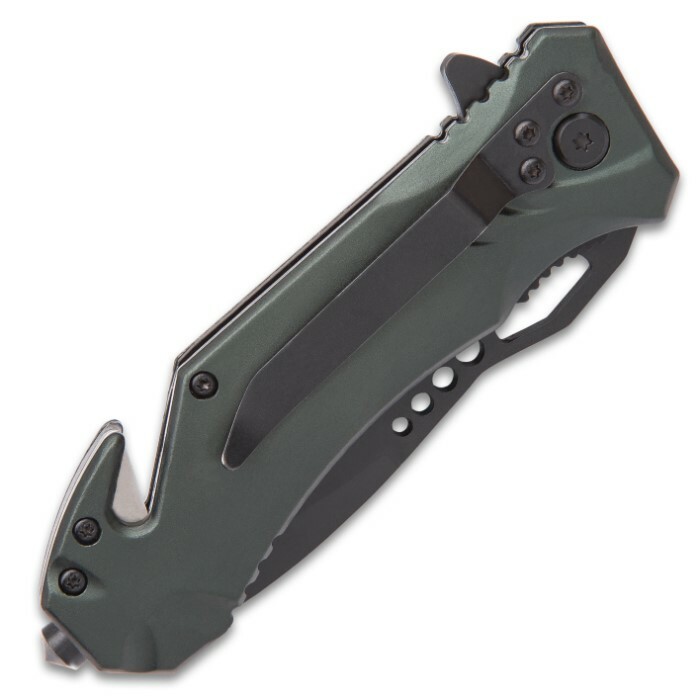 The Police Officer Protect And Serve Assisted Opening Pocket Knife has a sturdy aluminum pocket clip, so it can easily be clipped to your gear or pocket and go wherever you’re needed! so far I have not had use this product yet, but it does feel comfortable in my hand and is easy to manipulate when opening and closing. I would say its worth the money I paid for it. lets just hope all I need to use it for is opening boxes.